Where to Buy Alpine WSG, Alpine WSG Insecticide - 500 Grams Bottle - $132.95 for Sale with Fast Free Shipping! 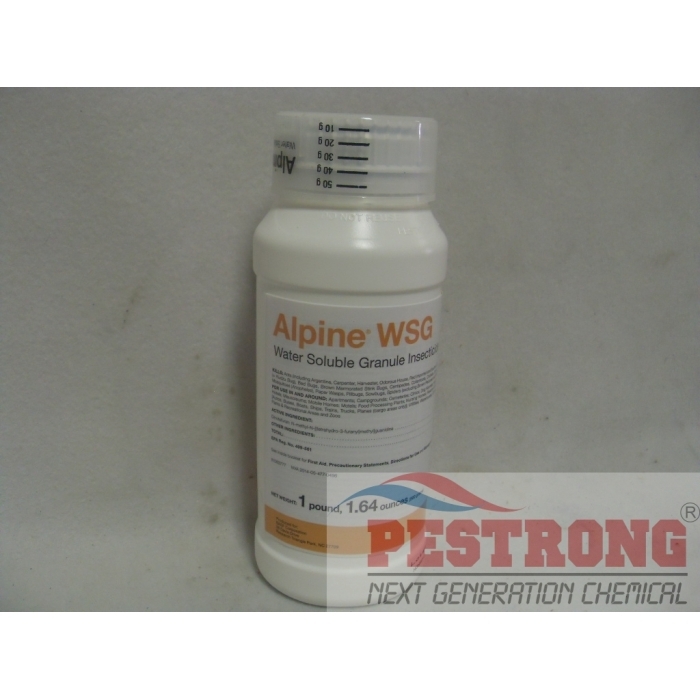 Alpine WSG Insecticide - 500 Grams Bottle is non-pyrethroid broad spectrum insecticide that proven to control some of the most common insect pests including ants, bed bugs, fleas, house flies and german cockroaches. Alpine WSG Insecticide is also easy-to-use. It mixes into a clear, odorless solution that doesn’t stain. Once mixed, it stays suspended and won’t clog equipment. This 500g can yield up to 50 gallons to cover 50,000sq.ft. * All Alpine formulations contain the active ingredient dinotefuran, a new non-repellent to the pest control industry that the EPA has granted reduced-risk status for public health use, but toxic to honey bees. their product with best service and price ! got them really quick. glad about it. Good manufacture "BASF" from good product. shipping that i never seen for real.